Yes, we are also a wholesaler! Finding a reliable supplier, with great quality products and top class service is no easy task. We at Podium have over 20 years experience supplying schools, clubs and businesses with top quality products. Ours are top quality silicone swimming hats, pains-takingly sourced through a see of substandard alternatives over the years. They are 55gr, 100% Silicone swimming hats that are inside embossed, giving them extra strength and better resistence to tearing. That means that they are tough and hard wearing and won’t leave your coaches frustrated by the side of the pool looking for a spare cap. They come in a wide variety of colours that we keep in stock and can be made up to be any colour that you define for large orders. Printing onto these swimming hats is done right here in the UK, so our turn around times are fast. Very fast. For large events requiring latex caps, we are able to supply with a longer lead time. Goggles are a tricky market to break into. People use brands they know, not generally moving away from their current brand without a fight. We understand that, you wouldn’t catch us in anything but Podium goggles, and we are patient. A high percentage of people that try our goggles, love them. So we are confident that they are a great product. Check some reviews on Trustpilot! “Podium Sprinter Goggles, excellent choice. 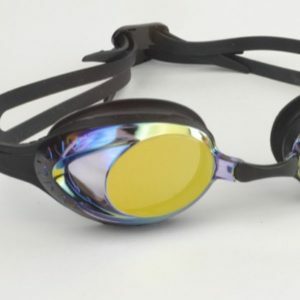 Bassett JSF Swimming Club have been trialling the Podium Sprinter Goggles for two months, we are so impressed with this goggle that we have purchased 24 pairs in the last week, and half of our main squad are now training in them. Having all the usual features of a top brand: anti-fog, 100% silicone, scratch resistence, double straps, our goggles are comparible with the top brands on the market. Fins, paddles, ear plugs, etc. We have a full range of swimming accessories. See https://podiumswimwear.com/swim-shop/accessories/ for more information.